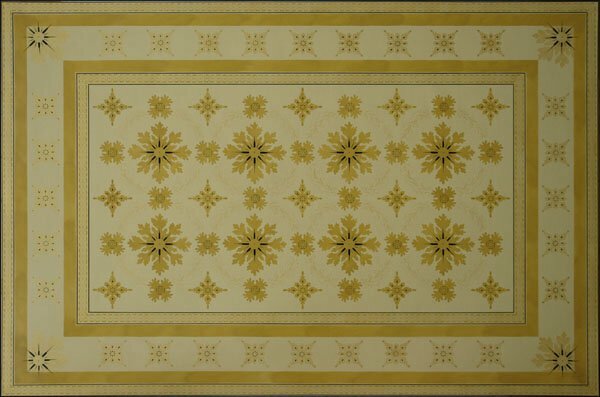 After I wrote that last post about floorcloths, I returned to Gracewood Design‘s website for another look. I decided to write to Gwenith Grace Jones and Kenneth Wood Forcier in search of some answers to the many questions I had. Gwen Jones kindly took the time to answer my questions, so I could share with our readers here. Painter Girl: What type of floorcloth design is selling most right now? 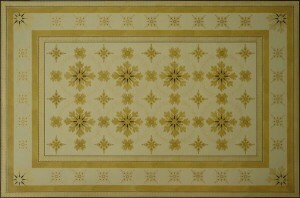 Gwen: We offer floorcloths in a broad range of styles from Early American through contemporary. 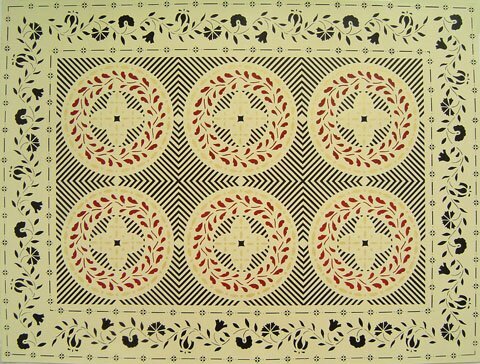 In the past, we have sold more Early American themed floorcloths, with our Humphries and Edward Durant patterns being top sellers. 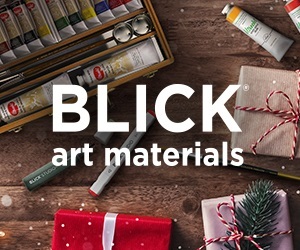 In the past year though, I would say that we are really selling across our different collections fairly evenly. Painter Girl: What are the demographics of your clients? Gwen: Our clients tend to be women, often East Coast based, as East Coasters have more exposure and familiarity with floorcloths. 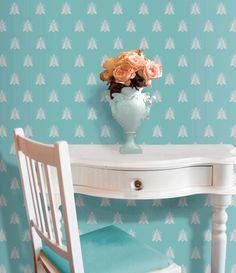 Painter Girl: What style floorcloth is your favorite? Gwen: I tend to like floorcloths that are rug-like, with a structured design and a border, generally using a low contrast palette. I am partial to our Batik Series and also love the Humphries and Edward Durant designs. 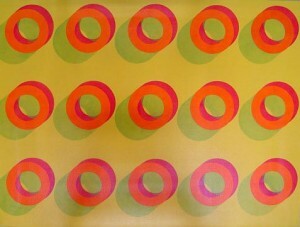 My partner (and husband) prefers modern, geometric-based designs in bold colors, hence the breadth of our collections. Painter Girl: Can you tell me about the Edward Durant house in Newton? Is this a private residence? 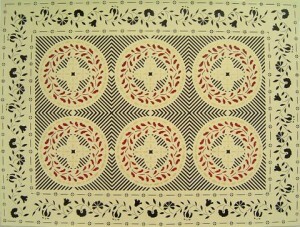 Gwen: The Edward Durant house was a rich source of stencil patterns taken from the abundant painted floors in the house. The house is still standing I believe, as a private residence. The original floor painting is thought to have been done around 1780 and certainly no longer there. I have truly enjoyed stumbling upon Gracewood Design! Thank you so much Gwen and please let us know when you add new designs or have any news you would like to share with our readers.